DC Brings In Kevin Maguire To Cancel Legion Of Superheroes In August - But What Is Keith Giffen's Comic On The Horizon? Home » BC Network » Recent Updates » DC Brings In Kevin Maguire To Cancel Legion Of Superheroes In August – But What Is Keith Giffen’s Comic On The Horizon? DC Brings In Kevin Maguire To Cancel Legion Of Superheroes In August – But What Is Keith Giffen’s Comic On The Horizon? We reported Keith Giffen’s decision to walk off the book two issues into what was to have been an extended run. Did he know something? 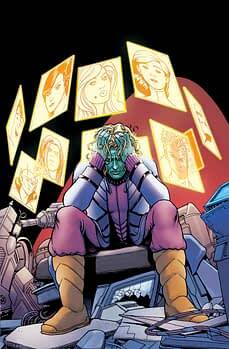 Well, his old Justice League International compatriot Kevin Maguire is back to draw the final issue. He’s not the only one knocking around. Woke to learn my new project is officially a “go”. VERY, VERY excited about it. Can’t wait for it to be announced so I can talk about it. @ronmarz @maguirekevin He is, isn’t he? Finally, in the New 52, could it be? A new DeMatteis/Giffen project? And Kevin Maguire is around too. Is this just too much to hope for? Say, it couldn’t be the previously rumoured Justice Legion could it?